If you are obsessed with metallic and coconut like us then COCOLUX is your dream come true! These amazing candles are the perfect end to a day at the beach or to light while rugged up on the couch in cooler months. 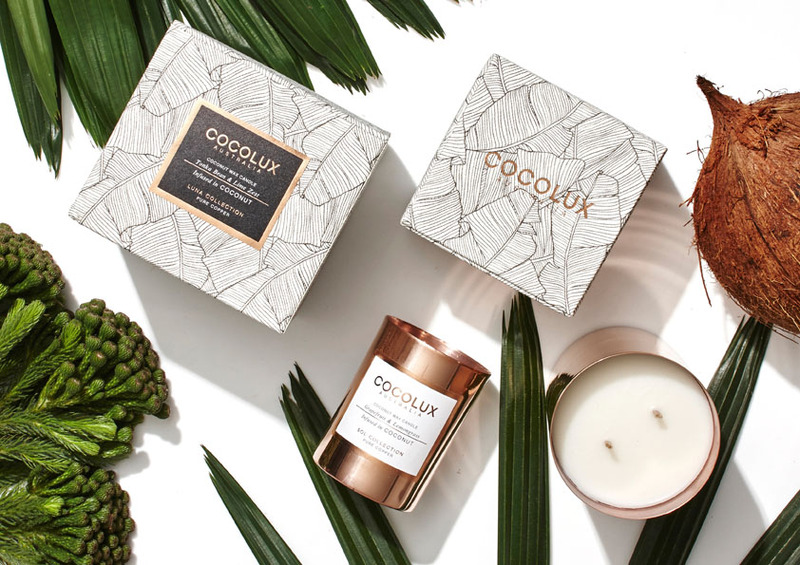 The clever ladies at COCOLUX Australia bring coconut wax and copper to the scented candle scene. 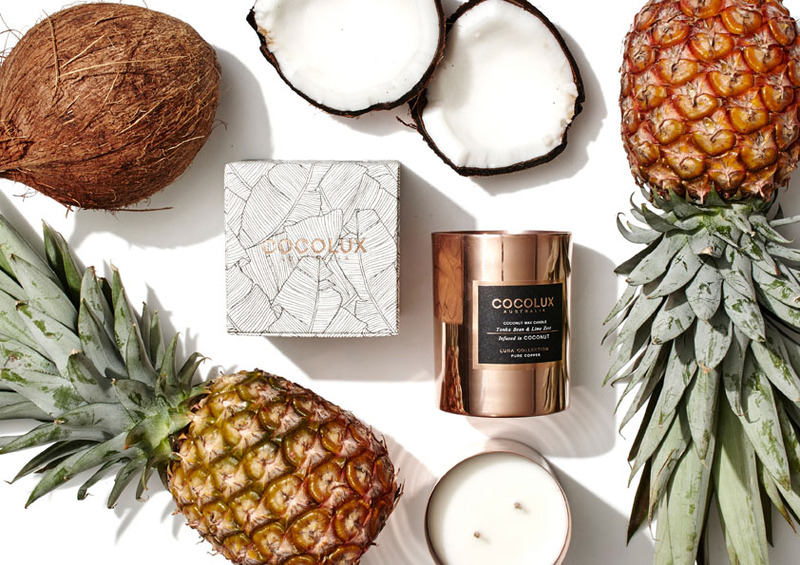 Created to be kind to the environment, COCOLUX candles are made with natural, earth-friendly coconut wax, hand poured into reusable vessels crafted from pure, solid copper. 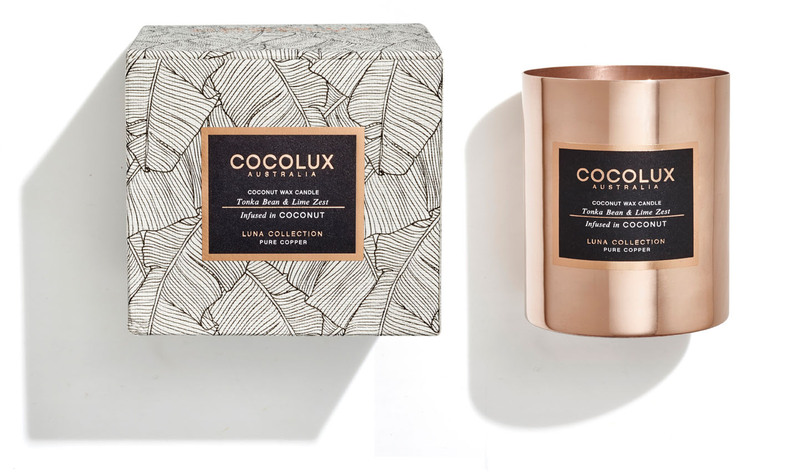 Designed with purpose, COCOLUX candles are a glamorous gift from nature that will last forever. You can even re-use their gorgeous copper vessels to store your treasures long after the delicious candle has burned for the last time. Meisha’s pick: from the Luna collection, Tonka Bean & Lime Zest, “I love the smell of summer! This scent with its sweet and soft notes of tonka bean reminds me of coconuts and of long warm summer days soaking up the sun, sand and surf”. Natasha’s pick: from the Sol collection, Fig, Cassis & Peach, “I can’t get enough of this fragrance. Its rich, fruity scent and spicy top notes fills the room without overpowering. It sits so well in the reactive copper vessel, which after a quick polish using metal cleaner changes from looking earthy and rustic back to shiny and new”. 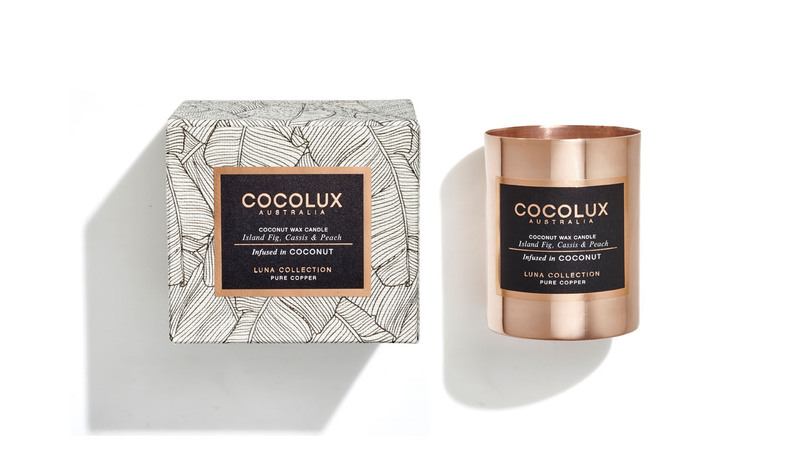 COCOLUX candles are available now through our online store . This entry was posted in homewares, Interiors, lifestyle and tagged candles, cocolux, coconut, copper, homewares, interiors, metallic. Bookmark the permalink.